When they announced there was a special James Bond exhibition at Beaulieu, I thought it might be interesting but I was wrong. 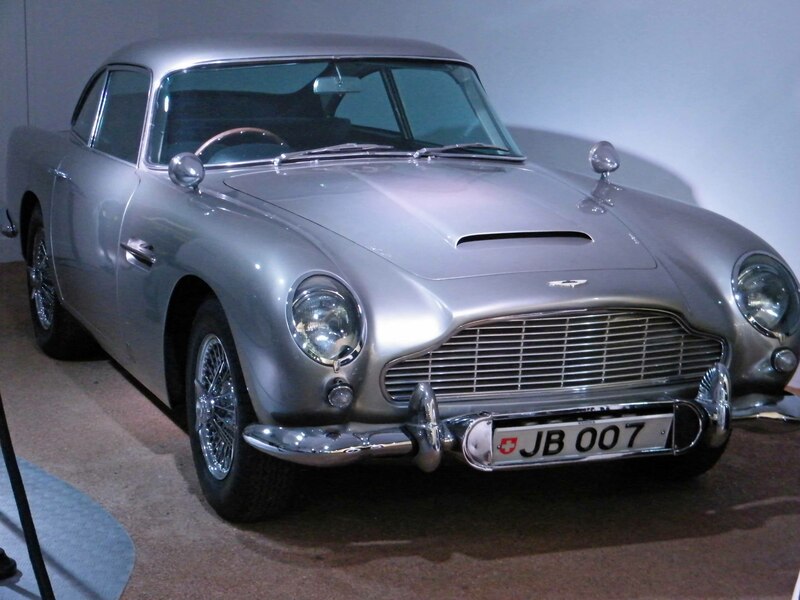 So when I heard there was a special display of James Bond vehicles marking the 50th year of ‘Bond in Motion’, I felt sure there should at least be something to look at to hold off the “can we go now” mantra that all children perfect from an early age. Beaulieu is more than a fascinating collection of vehicles; yes there is currently an outstanding selection of James Bond modus operandi and other paraphernalia, but when you go to Beaulieu, you soon realise there is much more to see and do. Reasonable weather helps as some of the attractions are outside, but even so, there’s still plenty to appeal to every family member. Sticking with the motoring side of things for a few more minutes, there is the Top Gear corner, where fans of the Jeremy Clarkson world (sorry, can’t say I’m one of them) can enjoy seeing the various vehicles they have smashed, crashed, abused, built, driven and sailed, at very close quarters. There are also plenty of TV screens showing a selection of programme footage relating to their antics. The additional Top Gear Expo is a small dome that has yet more of their vehicles on display and you watch a short film that looks behind the scenes of the programme. Personally I find Mr Clarkson’s style of vocal emphasis rather irritating but it clearly works for him. So after you have had your fill of Top Gear, you can take a trip on the mono-rail. It’s a quick trip but it takes you passed everything there is to see and do and you can alight at the Beaulieu Abbey and House or continue on the circuit back to the motor museum. The main exhibition Hall is extremely well laid out and even though it’s not a massive area, they have managed to put an enormously varying range of vehicles, including bikes, cars and vans from every era. The Bond section is fascinating; they have cleverly displayed summaries of the films and characters that relate to each item, so you straight away try to remember the film, when you saw it and with whom. They also throw in plenty of interesting technical information so there’s plenty of “I didn’t know that” comments being passed by the audience. Beyond the Bond section there are mini ‘sets’ they have created to show how and where some of the vehicles may have been used e.g. a street with shops and an old garage. For the younger members, there is a ‘sit in a carriage’ trip that takes you on a journey through motoring history. It’s short, but fun. When you have finished looking round the motor museum, make your way to the beautiful Palace House. Formerly the 13th century gatehouse to the Abbey, this magnificent building is still home to the Montagu family and whilst there is an element of ‘museum’ to it, there is still plenty to prove that it remains a family home. One of the many interesting stories you will be told is that up until the 1930’s (or thereabouts), Lord Montagu had a number of his cars housed in the entrance hall and under the stairs and it was only after his marriage that Lady Montagu insisted his growing museum was stored elsewhere! After the family home make your way to the ‘Secret Army Exhibition’ that tells the incredible story of the members of the Special Operations Executive (SOE) who completed their secret training at the Beaulieu Finishing School during World War II. The great heroics and remarkable bravery of these people make you feel quite humble. Then to round off your trip, go to what is left of the Abbey. Bellus Locus Regis – the ‘beautiful palace of the king’, was sadly pretty much destroyed during King Henry VIII’s reign, but you can still enjoy the ruins and they have adapted the surviving parts to give you an idea as to what life was like for the monks. If the weather is reasonable, there are some beautiful gardens to enjoy and of course a play area for younger children. There is also an arena where various displays take place during the summer months. So all in all, I was mistaken in thinking this was going to be a place of medium interest and somewhere that I could do unto my children as my parents did unto me. I would recommend it whole heartedly, particularly whilst they have the 50th anniversary Bond in Motion exhibition that will be there for one year. On a final note, whilst the cafe is satisfactory, as ever, it is pricey. So if you’re taking the family, an old fashioned picnic may be a better alternative. But whatever you do, have a lovely day at Beaulieu, as they say, it really is ‘much more than a motor museum’. This entry was posted in Family Days Out and tagged abbey, Beaulieu, English Country Garden, James Bond, Motor Museum, palace. Bookmark the permalink.